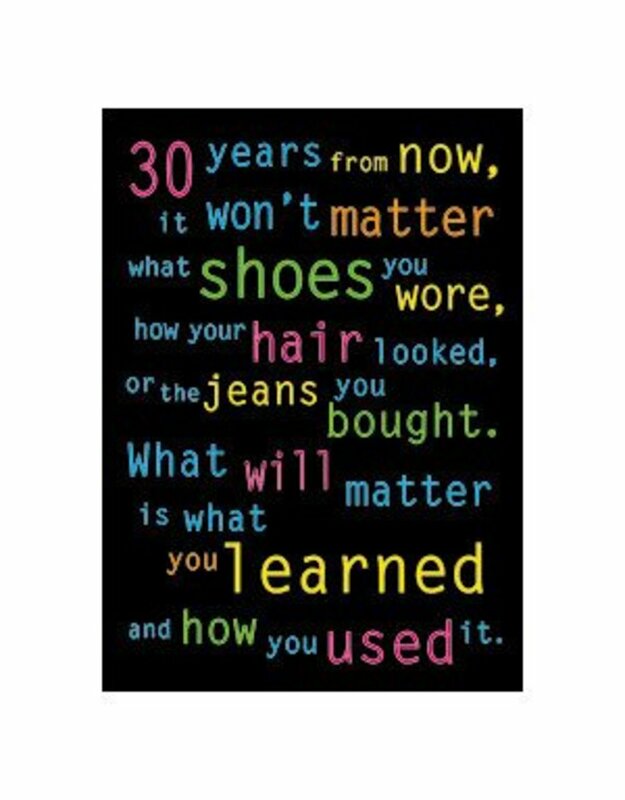 30 years from now, it won’t matter what shoes you wore, how your hair looked, or the jeans you bought. What will matter is what you learned and how you used it. 13 3/8" X 19"